It started in the 1960s, writes Jim Northover. 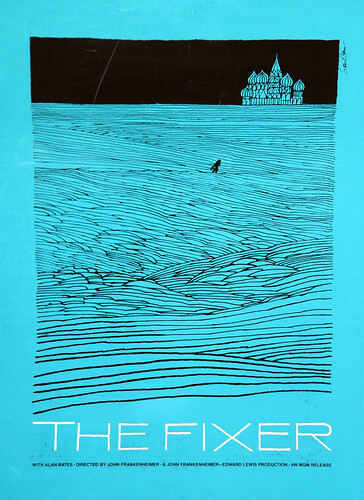 It was then that John Lloyd, a fellow design student and my future business partner, introduced me to Saul Bass’s work. There was something strong, clear and resonant about the images, the type and the colours. Back then they seemed the embodiment of what ‘graphic design’ was all about. And I feel much the same way today. 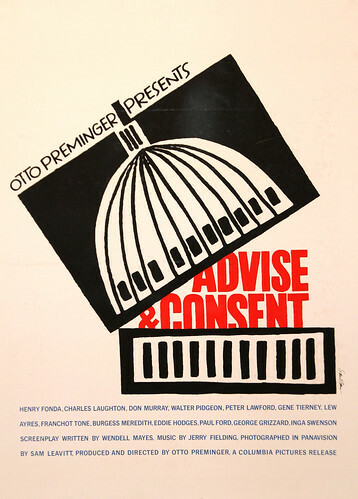 Above: Advise & Consent, 1962. 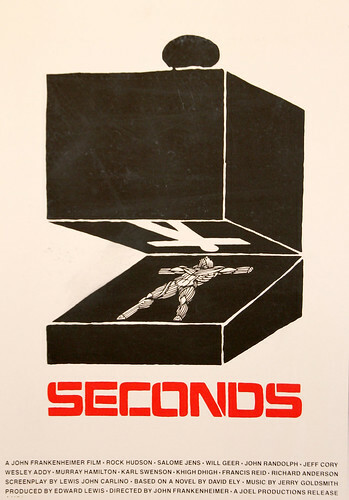 Towards the end of the 1970s, John and I were asked to design the publicity for a conference in London at which Saul Bass, amongst other famous designers, was speaking. We dutifully attended the conference and listened to the master talk. But it was not until after Saul’s death, in 1996, that a closer connection was made. 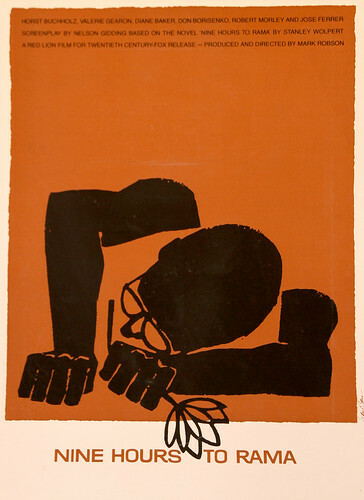 Above: Nine Hours to Rama, 1963. 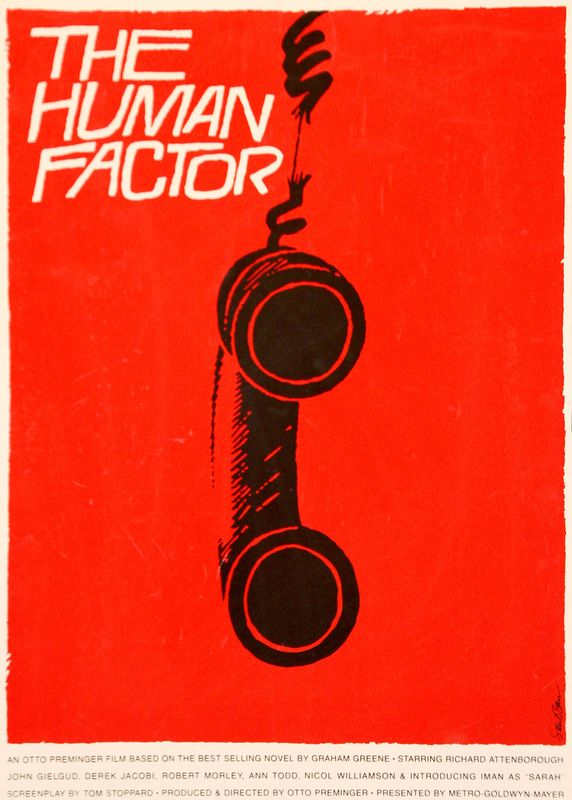 One day a head-hunter in the States called saying that she had a brief to find someone to take over the Saul Bass studio in Los Angeles. Herb Yager, Saul’s partner, no longer wanted to run it himself but was keen for the business to continue. Since we had been looking to set up an office in the US, this seemed like a real opportunity. After Herb was reassured that he had found suitable inheritors, the business was acquired. We celebrated the event at a dinner at the Beverley Hills Hotel with Herb, Elaine Bass (Saul’s widow) and some of the team. A few months later we found we had inherited something else. A travelling exhibition of Saul’s movie posters had been doing the rounds of film festivals all over the world. One day it arrived back in London. We had to store it and look after it. We soon realised it was too big and expensive a task to keep it properly, so we handed it on to the British Film Institute (BFI), requesting that it should not be lost from public view, and shown from time to time. 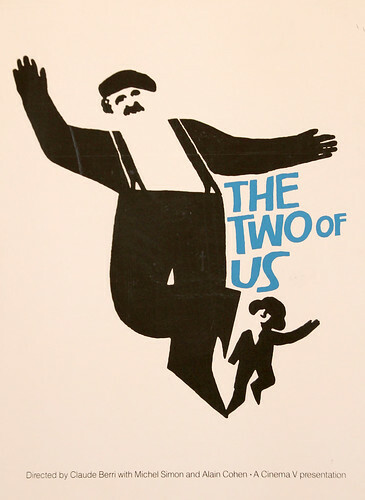 Above: The Two of Us, 1967. Now a decade on, I’m delighted that the BFI has agreed to bring the posters out of store for an exhibition at Kemistry Gallery in Shoreditch. When I look at them all over again, I’m reminded of Herb’s reply when I asked him what he thought was the essence of Saul’s work. ‘It punches through the din,’ he said. With so much more visual noise around us these days, his aphorism is as true ever. Jim Northover is a designer, writer and co-founder of design consultancy Lloyd Northover. See ‘Opening shots’, about movie titles by Bass and Maurice Binder, also on the Eye blog, and Joel Karamath’s Eye 39 article ‘Overtures and psychotic symphonies’. Eye magazine is published quarterly for professional designers and students. It’s available from all good design bookshops and online at the Eye shop, where you can buy subscriptions and single copies. For a glimpse of no. 78, see Eye before you buy on Issuu.